Enjoy a rich tropical vacation for your taste buds! 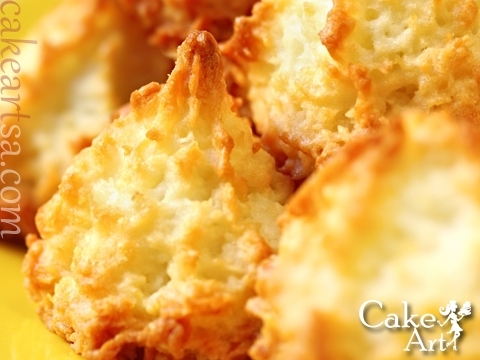 Coconut macaroons are made by hand daily from fresh ground coconut. Please come by the bakery and try some toasty macaroons with a cup of coffee. everyone is entitled to a mini tropical vacation now and then! We bake coconut macaroons from scratch every day, but we do run out so please call us at (210) 277-0308 to reserve your cookies. By-the-way, don’t confuse them with the equally tasty French macarons, also available in our pastry case!